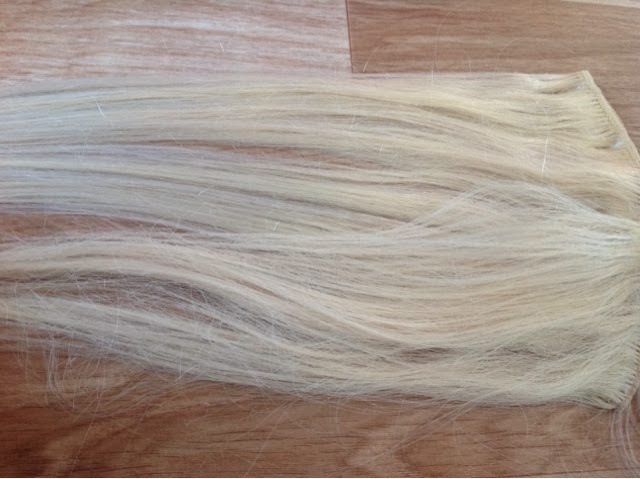 I have finally got some new extensions! I went to a local hair supply shop where I live and got these extensions by a company called Sapna, I've never heard of this company before but so far I am loving these extensions! 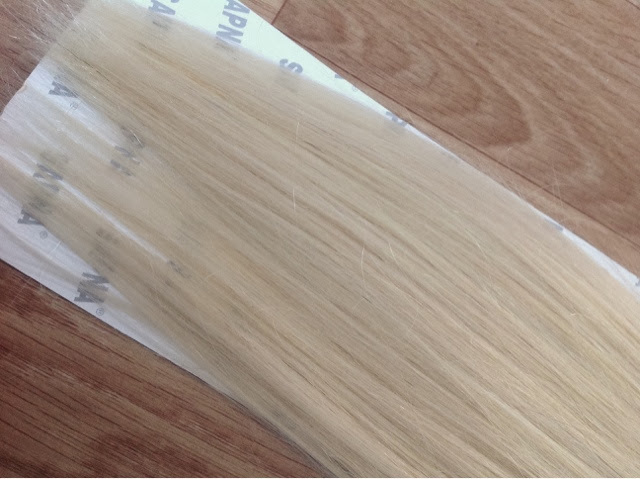 The ones I have are Sapna - Snow White extensions they are 113 grams of 100% human hair, and 18 inches long and they cost £45.99. I brought them without clips, so you just get one long strand of hair. 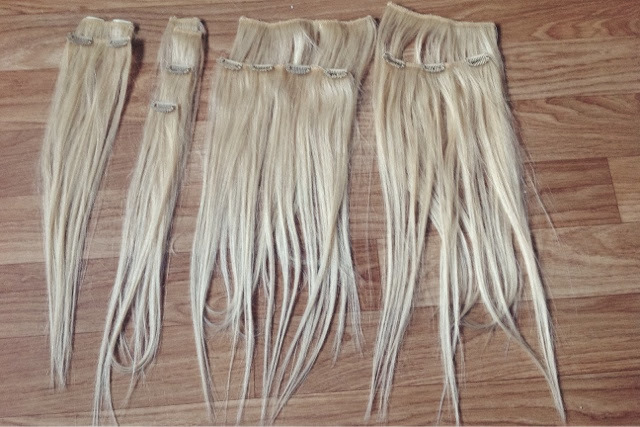 I used the Foxy Locks extensions to measure out the pieces to size before cutting them. Also, the reason I wanted to get them without clips is so that I could double them up (cut a strand twice then sew the two pieces together) so that they were thicker. I also had to sewn on the clips myself; the clips are actually from my old set of extensions from 2012, I just cut them off. I also used 2 clips from the Foxy Locks set, because I was 2 short. Although because they're doubled up I find that I don't need to use both of the 4 clip wefts, but I tend to anyway just to have that fuller look. They are also blunt cut at the ends, just like the foxy locks ones! 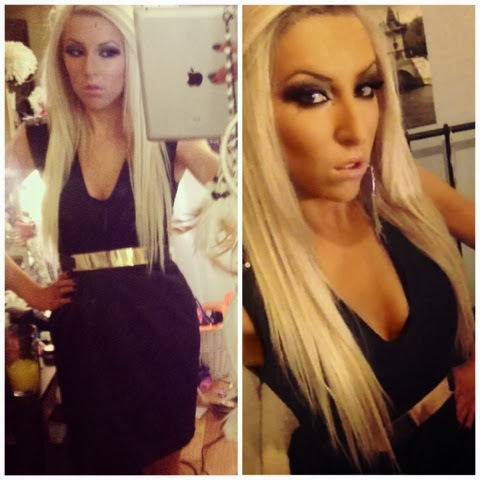 As blonde girls will know trying to find platinum coloured hair extensions is quite hard. Many extensions are too golden, or too yellow. 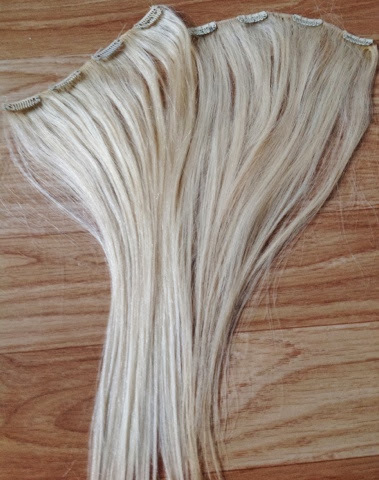 Not many extensions are actually platinum coloured, meaning that you have to either colour them or use silver shampoo on them. 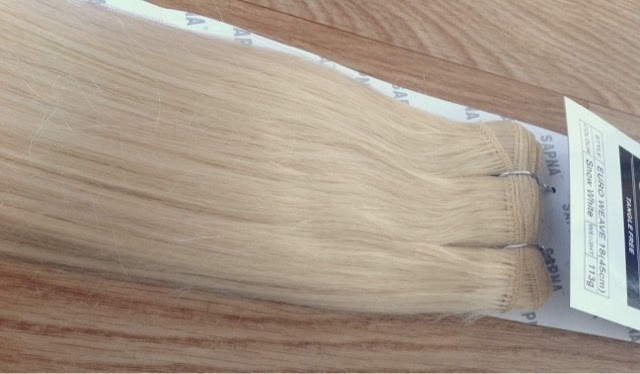 However, these are different they actually are platinum coloured and are the same colour as the Foxy Locks extensions. 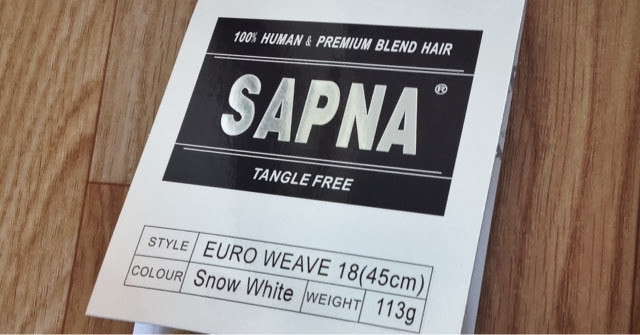 In comparison to the colour of Foxy Locks - Platinum the Sapna - Snow White are practically the same. Although as you can see from the photo the Sapna ones are shiner; this is due to that, I've yet to wash them, so they're still coated in that shiney silicon stuff that all new extensions have. So far I love these extensions! Although I've only worn them twice, and I am yet to wash them. However, I shall update you on how they are lasting! It is very informative and very helpful on my research regarding seo techniques. Thanks for sharing this post. We are proud to bring our quality work and products to the market with cutting-edge technologies in the hair science. 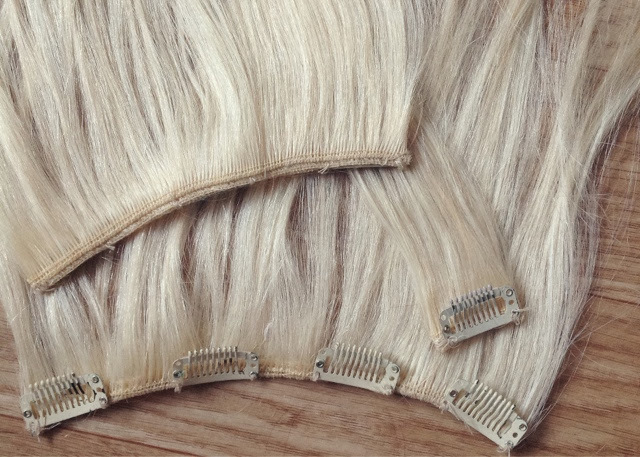 Outstanding selections and affordable prices are the cornerstone of Royal Hair Extensions.Our well-conceived methods and professional staff are what makes Royal Hair Extensions the world’s foremost authority on hair extensions and hair replacement for women.